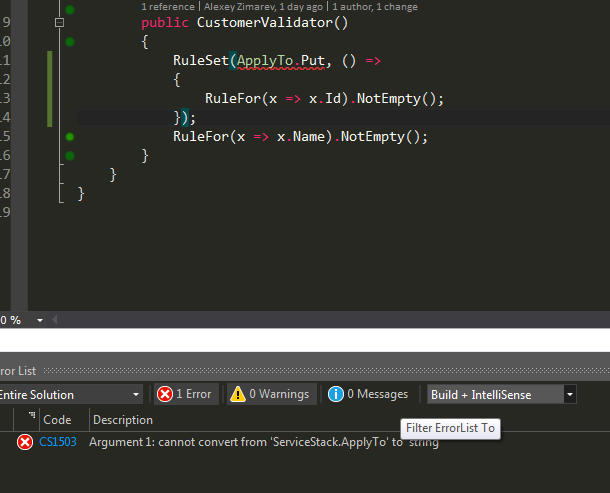 I'm not clear on what the issue is, this code does compile assuming CustomerRequest has both Id and Name properties? Wait are you trying to use the external FluentValidation library? You can't do that, you need to use the interned version that's built into ServiceStack. OK, thanks. It wasn't clear for me from the docs.